Steven Tyler Is A Proud Father Of Four Children. Are They As Keen On Music As Their Daddy? Steven Tyler, the popular American singer, songwriter, and musician, is a proud father of four children: three daughters and one son. And even though Liv Tyler, Mia Tyler, Chelsea Tyler, and Taj Tallarico are completely different and have different mothers, they are indeed loving and supportive siblings, who are always ready to support each other. READ ALSO: Twitter User Slams Meghan Markle For Wearing Tight Dresses During Pregnancy. Is It Really A Danger To The Baby? By the way, Steven Tyler could be a father of five kids, but unfortunately, the pregnancy of his then-partner Julia Holcomb resulted in abortion, which left an impact on Tyler’s life. It was a big crisis. It's a major thing when you're growing something with a woman, but they convinced us that it would never work out and would ruin our lives. Do they follow in their dad’s footsteps? Liv and Mia are widely known and popular for their successful acting careers. Liv is known for her roles in Silent Fall, Heavy, Empire Records, That Thing You Do!, Stealing Beauty, Inventing the Abbotts, Armageddon, Cookie's Fortune, Onegin, and others. Taj is also an actor known for Lizzie McGuire. Nevertheless, Tyler’s youngest daughter decided to follow in her father’s footsteps and connect life with music. She is a part of a musical duo called Kaneholler and really enjoys it. But music is not her only passion: Chelsea is also a model. By the way, Mia is also quite popular for her modeling career, and she has appeared in such elite magazines as Vogue, Seventeen, Teen, Teen People, and others. Steven Tyler’s children are so talented! My blood father, Steven [Tyler], has a lot of magic in him. Whenever I see him he ignites in me the inspiration to remember to be more playful and magical, especially with small children, to take them on adventures and so on. When you’re a parent in the daily grind of life, from working to running the house, it’s so tricky sometimes because you don’t always get to be in the magic with your children. 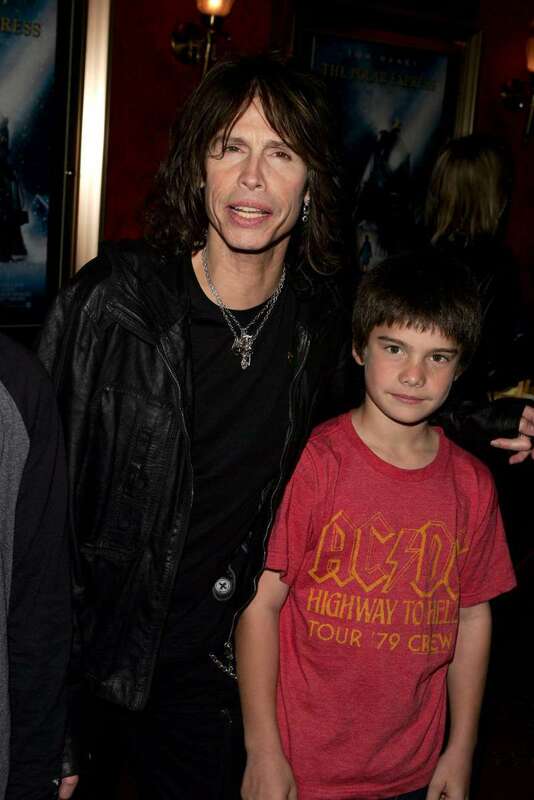 Steven Tyler is a proud father of four children, and some of them follow in their dad’s footsteps.